This past week has been eye-opening. I'd had some wonky blood tests in July, indicating some kidney function issues, and I tested positive for ANA. I don't even know what that means exactly, but because of some of my other symptoms, the doc suggested lupus. Really fun to be told that--there's no cure for it. Instead, patients are handed toxic drugs to keep symptoms at bay. Turns out, though, that I have a vitamin D deficiency. The kidney problems weren't really problems--just blips--but my fatigue, joint pain, etc appear to all be because I hate the sun and don't eat enough salmon. I can't even eat D-supplemented dairy because my son is milk-protein sensitive (I can't say "allergic" because doctors hate that word. No matter how bad the reaction is, it's not an allergy unless the doctor says the word first, before the patient.). So now I've got some high dose D to bring my levels back to normal. Why should you care about all this? Well, I haven't been working on my house that much because I've been busy feeling sorry for myself. Crying right before bed, milking it for all its worth with my husband, telling him I might have a disease that could kill me so I couldn't change that poopy diaper! Poor Ryan. And I'm not even saying that with a fake pity expression on my face (You know, the one people put on when they say dumb things like "someone's got a case of the mondays" and you wanna punch that smug mouth into next week). My husband is a saint. And why should you care about Ryan being a saint? He's also great at coming up with new lifestyle ideas for us. And he always always always signs on to my crazy ideas, so he's a genius, too. 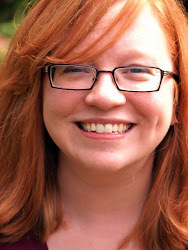 Anyway, I am a reader of Mama's Minutia, Jennifer Jo's blog about her rural Virginia life. She's got a gaggle of kids whom she homeschools, and she is a domestic goddess. Her site is blissfully free of ads, her recipes are really fantastic (we are huge fans of her carbonara), she's a reader, she has no television, and she even gets angry sometimes and yells at her kids (have you noticed that so many mommy-blogs portray perfect parenting? And low-fat "healthy" recipes that no one would want to eat?). So what's our crazy idea *this time*? We're going to bring the country to Roeland Park, Kansas. Of course, you might assume that since we live in Kansas, we already live in the country. Um, no. Roeland Park is literally 100 feet from Kansas City, Kansas and a few miles from Kansas City, Missouri. It's a suburb (eeeeek!) that really isn't suburban. It's actually quite urban. Why are we bringing the country here? Because of one of Jennifer's most recent posts about her kids. They have lessons and such on readin', writin', and 'rithmatic, but they also enjoy a life of improvisation and creativity. She fosters their creativity by leaving them alone to their own devices. Mommy is not the main source of entertainment. I mean, I don't know Jennifer that well, in fact, I don't know her at all except through her blog, so maybe she does say things like, "Kids, I'm gonna teach you to be creative today! Let's get out the crayons! ", but something tells me, that doesn't happen. After reading that post, Ryan suggested we move to the country to give us all room to breathe a bit. This city girl's heart can't take that. I need urban restaurants (just knowing they're there, despite the fact we can't afford a night out, brings my blood pressure down), and anyway, we just bought a house! I'm not doing that again anytime soon. So instead, we're going to do what we can to make our home more like a homestead. Will that make our kids creative? Haha, if you know my children, you know they're already wild, and have fantastic imaginations. But by simplifying, bringing things back to Earth a bit, I think we can add another dimension to their educations. Plus, it makes great blog fodder, and that's really what matters most. Well, that, and the kids, right? 1) Make all of our bread from scratch. We use the breadmaker, but I think we've got this one down. Remember Ryan's post on making pita? 2) Keep chickens. This might be difficult. We have a small dog run where we could put the coop--we'd want to not do it now that it's freezing--but there have been complaints recently from RP residents about their chicken keeping neighbors. We'll keep this option open for now. In the meantime, visit the RP City Hens website! 3) Grow our own food as much as possible. We're in the process of building our raised beds so they'll be ready. I've got some local peach pits ready to be planted too! And don't tell me it won't work. I'm going to pretend I'll have peaches by next year. Are you laughing at me? Meanie. 4) Use earthy ingredients in our food. No, I'm not saying we'll start eating dirt. But we'll eat food that *tastes* like dirt! Or, Ryan will serve it to us and we'll refuse to eat it, like this morning's improvised sunflower seed pancakes (see, we're teaching the kids that creativity and failure are a common combination, but that's okay!). One bite was enough. Love you, hubband! 5) Make our own clothing. Okay, maybe not right now. Maybe next year. 6) Turn the TV off more. I love TV, and I see no reason to completely cut it off (spare me the new research--I don't care), but having it on less will most certainly turn us all into artists. 7) Do other country things. Like drive tractors in the backyard. Keep horses. Take over fresh-baked goodies to the neighbors' houses and complain about this year's harvest being threatened. Build an outhouse. Wear more plaid. Have manure hanging around all over the place. Throw a barn dance. So maybe I have unreasonable expectations. But we figure if the kids can see us engaging a little more deliberately in our own lives, it's all good. 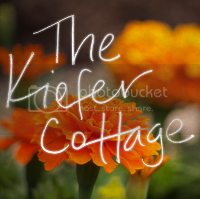 AND ****BREAKING NEWS****** we are throwing a Kiefer Cottage open house! We won't be square dancing, but we will have food and drink and two little birthday girls. We have 3 confirmed guests. Whoohoo! I'm already declaring it a success. If you're local to us and want the deets, let me know. If you're a weirdo who wants to steal my cloth napkins, ignore the previous sentence. Homesteadin's been on my mind lately, too! Winter in Ontario is a scary thing, so it'll give me lots of planning time for when spring comes. 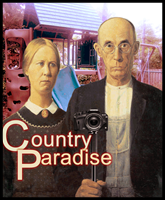 Check out The Prairie Homestead, at http://www.theprairiehomestead.com. She's fabulous and is in the middle of giving homesteading tips for those who live anywhere, not just rurally. And compared to where I used to live in Georgia, winter is quite an ordeal here in Kansas. I'm hoping for a tad less snow.